We are excited to share the news that Morten will return to Sentrum Scene in Oslo, Norway on October 24! The fan pre-sale will take place on Monday, June 16 at 9:00am CET. The public ticket sale begins on Thursday, June 19. 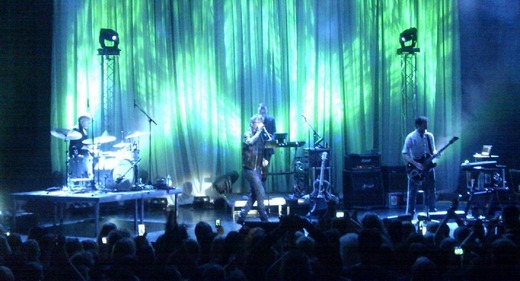 For more details, visit mortenharket.com. The setlist at Morten’s concerts in Oslo this weekend was noticeably different from the standard setlist earlier this year. “Just Believe It”, “Scared Of Heights”, “Forever Not Yours” and “Take On Me” were dropped, and instead replaced by “Wild Seed” (performed live for the first time since the 90s), “Movies” and “Send Me An Angel” (in a new live arrangement). To celebrate Morten’s birthday on Friday, the backing band surprised him at the end of the show with Stevie Wonder’s “Happy Birthday”. Martin Halla also came on stage to join them, as you can see in this YouTube clip. On Saturday, the setlist was mostly the same, but “Spanish Steps” was performed twice due to technical problems. 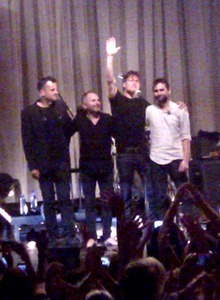 The set ended with “A Kind Of Christmas Card”. Check out more YouTube clips from the concerts here. 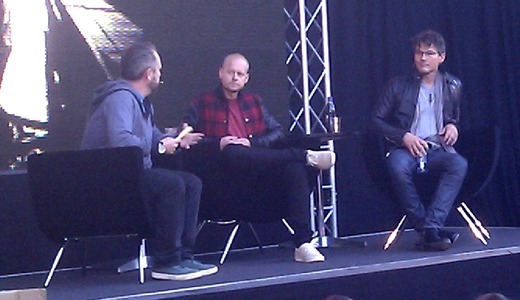 Another highlight of the weekend was an interesting Q and A session with Harald Wiik, Erik Ljunggren, Dan Sunhordvik and production manager James Maillardet at Sentrum Scene on Saturday. One of the more amusing stories involved getting booked to play a venue called Circus in Novosibirsk, Russia earlier this year – and then arriving in the city and realizing that the venue was an actual circus (complete with lions backstage!). Fans from a number of countries are gathering in Oslo this weekend, to attend Morten’s solo concerts at Sentrum Scene and to celebrate the 30th anniversary of the start of a-ha. According to the book Så Blåser Det På Jorden (1986), Magne and Paul visited Morten’s home on his birthday, 14th September 1982, to welcome him as the new singer in their band – which is exactly 30 years ago today. Morten had actually auditioned for the duo a year earlier, in Magne’s basement in the summer of 1981, but an unfortunate misunderstanding put any potential collaboration on hold. After impressing the two of them with his voice, Morten had left his microphone in the basement and said that he would return when he’d had some time to think about the offer to join them. 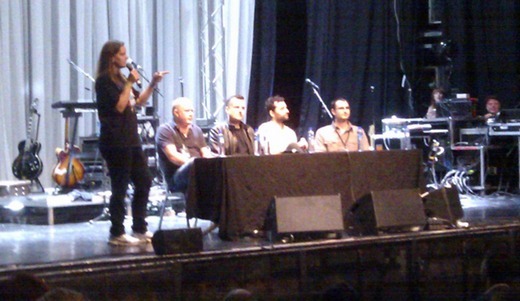 One day the microphone was suddenly gone, which Magne and Paul interpreted as a blatant refusal to join the band. The truth was, however, that the microphone didn’t actually belong to Morten, and instead its rightful owner had taken the opportunity to collect it. By June 1982, the misunderstanding had still not been cleared up. But after spending half a year in England without any results, Magne and Paul were so desperate that they decided to swallow their pride and contact Morten once again. Morten was reluctant and decided to go on a vacation to Greece while considering the offer. Luckily, he finally agreed to join the two others – and 14th September 1982 is the day a-ha was born (although the band name would arrive a bit later). Anyway…the full schedule of this weekend’s events, with the fan party, exhibitions, guest speakers and more can be found on a-ha.com. Fans who have pre-ordered the a-ha photo book should note that the pick-up and signing at Sentrum Scene is taking place today, Friday, between 14:00 and 18:00, instead of Saturday. In connection with the photo book, Morten and Stian Andersen will appear at Oslo Book Festival tomorrow at 15:45, where they will be interviewed by music journalist Asbjørn Slettemark. 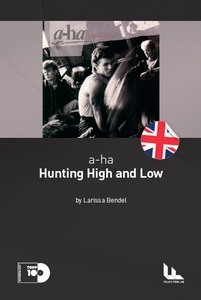 There is also another a-ha book being published this weekend; the English translation of Larissa Bendel’s “Hunting High and Low”-book from last year. 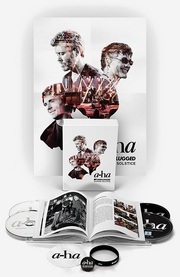 “a-ha’s “Hunting High And Low” is a piece of Norwegian history – the story of three young hungry musicians in London, sky-high ambitions and several ground-breaking videos. Larissa Bendel from Germany played an important part in a-ha’s international fan club in Germany and gives a unique perspective on the band, both how she witnessed their adventure as a teenage fan and how she today is reading the band’s music as an established academic, supplemented by the band members’ own comments”, the publisher Falck Forlag says in a press release. The 104-page book will be available for sale at Sentrum Scene this weekend and can also be ordered online here. 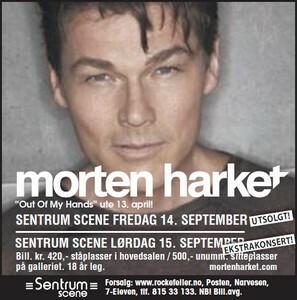 Morten’s concert at Sentrum Scene in Oslo on September 14th has now sold out. Therefore an extra concert has been added on September 15th. There will be a fan presale on Billettservice.no starting tomorrow at 9am CET, according to Morten’s official Facebook page. 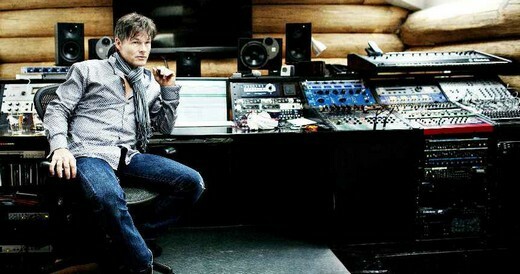 In other news, the official website at mortenharket.com has now been updated with a new design. And apparently Morten will be a guest on Julian Krafftzig’s show on German radio station RPR1 next Wednesday, March 28th. Morten’s “Lightning”-single was released in Norway on Friday and can now be purchased from iTunes and other download shops. 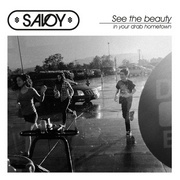 It can also be streamed in Spotify and Wimp. Meanwhile, in Germany, the “Scared of Heights” 2-track CD single can now be pre-ordered from amazon.de, along with the Out Of My Hands album. In connection with the “Lightning” single release, Morten has done a few Norwegian interviews in the last few days. On Friday he was a guest on P4s Radiofrokost, where he talked about the new album and a variety of other topics. The complete 23-minute interview can be downloaded here. Yesterday, there was a story on him in TV2’s Lørdagsmagasinet. The video clip can be seen on TV2.no or on YouTube. 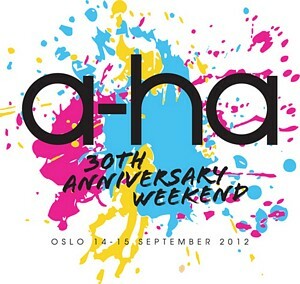 There was also an announcement made yesterday by a-ha.com, that Morten will do a solo concert at Sentrum Scene in Oslo on September 14th, as part of the 30th anniversary celebration of a-ha that weekend. For more info about the events in September and a special fan pre-sale starting on Monday, check out this article on a-ha.com.